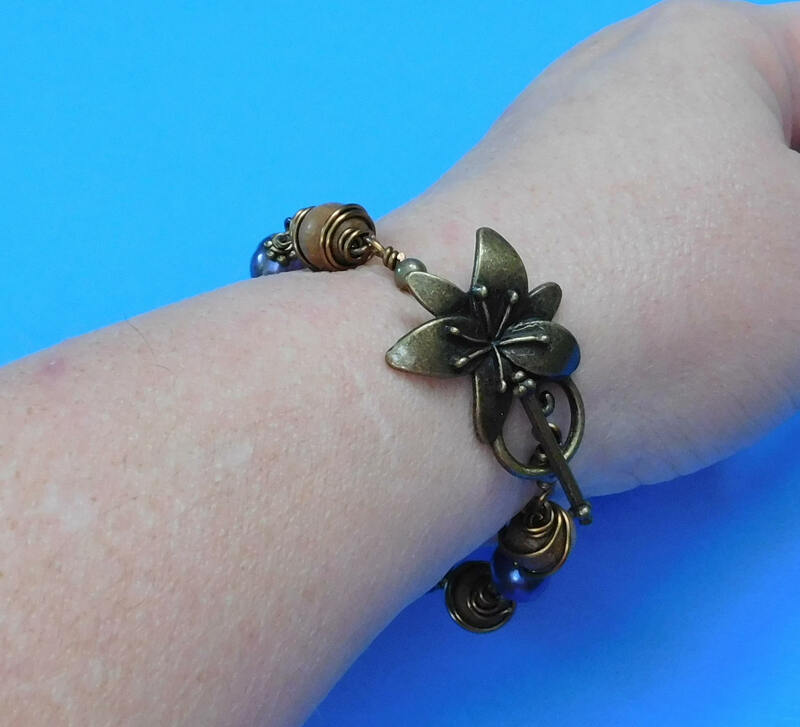 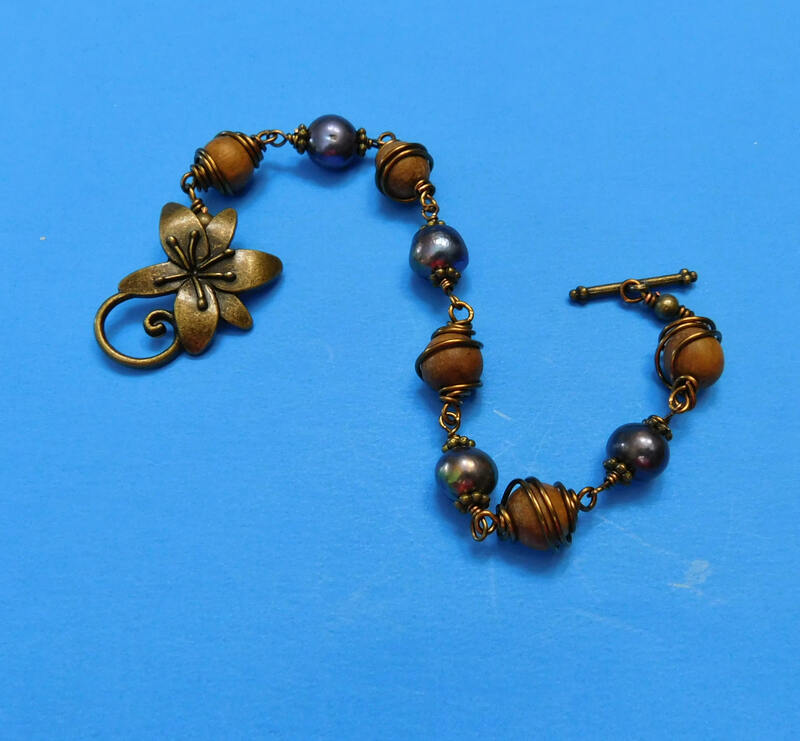 Genuine Freshwater Peacock dyed Pearls are linked with bronze wire wrapped wood beads to form a 8 1/2 inch bracelet with elegant bronze lily toggle clasp. 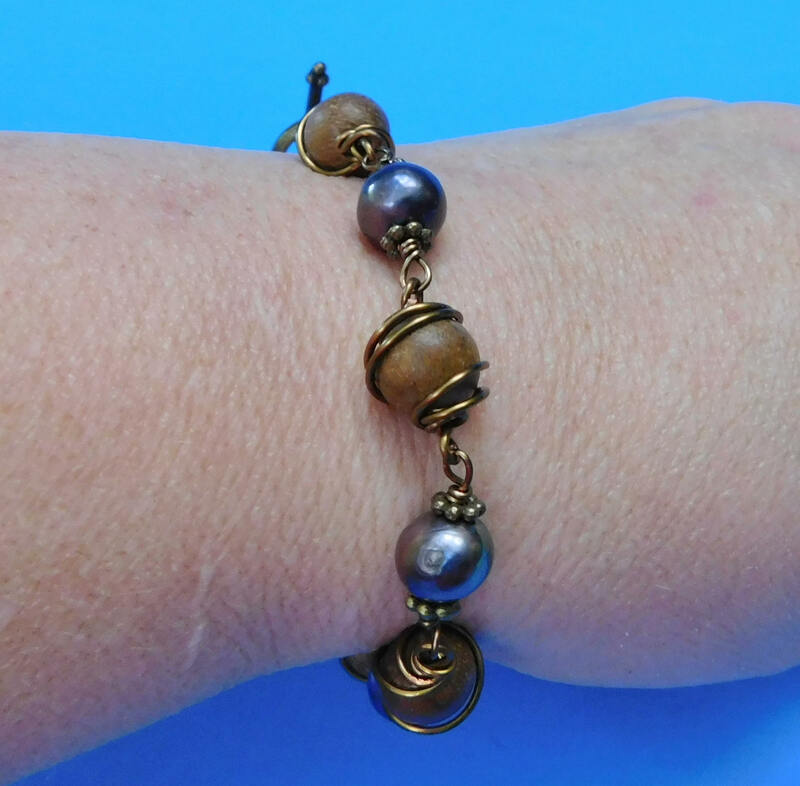 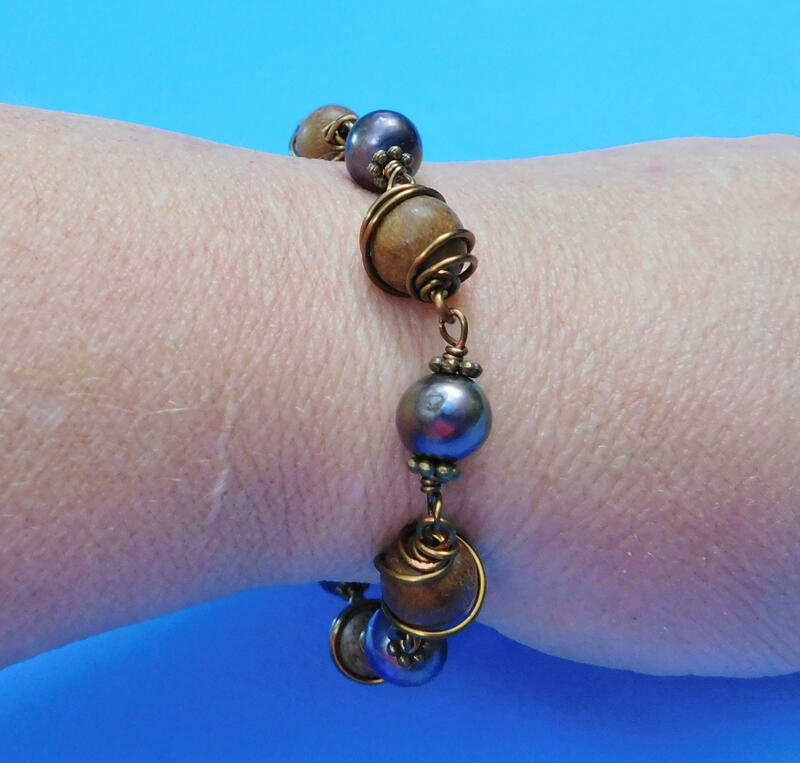 The wood beads are wrapped by hand and linked with hand wire wrapped links to the beautiful freshwater pearls that are the highlight of this bracelet. 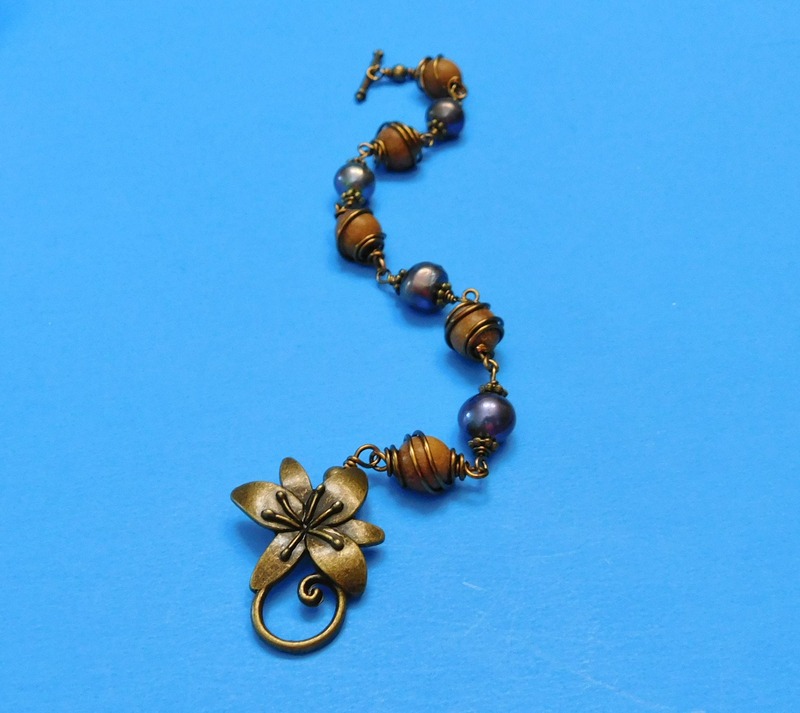 The design is elegant and special and will be treasured for years to come.